***USE THE COUPON CODE ( superwater20 ) ON CHECKOUT FOR AN ADDITIONAL $20.00 OF YOUR ENTIRE ORDER, SPEND OVER $300, w/ NO TAX(**Except Florida). PLEASE NOTE: THIS NANOSILVER FILTER UNIT # G3RO Global Water Water Cooler Unit WITH REVERSE OMOSIS SYSTEM DOES NOT SHIP FREE: Discounted Freight Shipping and Insurance of $85 is added Post Sale on all Global Water Cooler orders. Note: This is listing is for the G3RO Water Cooler Unit w/ Nanosilver Filter. The G3RO w/ Nanosilver Filter ( 4 Filter Unit ) is the most economical model in the Global Water line. 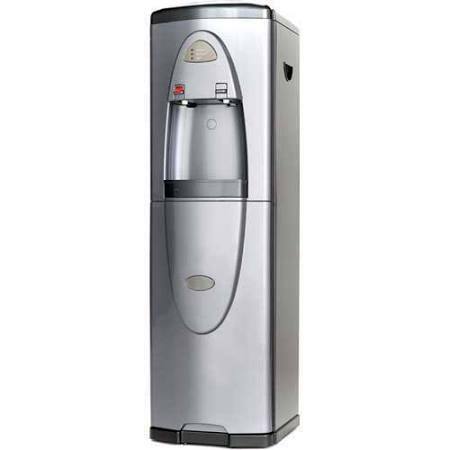 It has a large dispensing gap for both hot and cold water temperatures, and its compact height makes it one of our most popular models for office settings.